There are several types of brain tuners commercially available. Just use a search engine to look them up. Also have a look at Bob Becks lecture about the Brain Tuner and the buyer comments on the Amazon page selling such devices. The brain synchronizer destresses, relaxes but also clears the mind. depression I used to suffer. the limits of the law. Cranial Electrotherapy Stimulation has been used as a treatment for anxiety in several parts of the world for over a quarter of a century. American medicine has only recently begun to realize its use as a safe and effective treatment. Studies show that CES treatment yields highly significant reductions in anxiety, whether the patients were in a psychiatric setting, a scholastic setting, an outpatient setting, or an in-patient general hospital setting. Further, while many different kinds of anxiety have been studied, as measured by the six different psychological measuring instruments found in these studies, they all responded significantly to CES treatment. Less intense or less permanent forms of anxiety - the so-called "situational anxiety" in which a person habitually responds to personally threatening events in his environment with an anxiety reaction - respond to CES treatments within a week or less. The more permanent forms of anxiety - the so-called trait anxiety, or that underlying level of anxiety that a person typically carries with him at all times - require a longer period of CES treatment. This kind of anxiety typically is not reduced significantly in fewer than 2 or 3 weeks of daily treatments. Studies show that reactive depression (that which results from acute changes in the patients life situation such as a job change or divorce) is decreased after 6 days of CES treatment. More deep seated depression (endogenous) in some cases required 3 or more weeks of daily treatment. For this reason, many physicians routinely prescribe a minimum of 2 weeks to a month of daily CES treatments in depressed patients, since it is frequently difficult to gauge the type or depth of depression with great accuracy. Since many patients have a "depression habit" physicians should include a home CES unit in their treatment plan so that the patient can meet any new sign of impending depression with effective treatment and thereby break the behavioral reinforcement chain that has both led to and maintained the habit. In this way, a maladaptive habit can be effectively controlled or broken without the use of frequent medications and/or repeated visits to the physician. Other research has shown that CES, when used this way is neither habit forming nor addictive. Such patients use it only when they experience an impending medical necessity. Because CES was originally called "Electrosleep" in European countries, many earlier American studies were designed to learn whether or not such small amounts of electric currents would actually put people to sleep. That is, just as 50ma of current - called "electro-anaesthesia" - put an individual into anesthesia so that surgical procedures could be performed, 1ma of CES current was assumed to put them into a normal state of sleep if "Electrosleep" worked. Such studies discovered that while CES does not necessarily "put a person to sleep", it does accomplish some very therapeutic changes in the sleep patterns of people who complain of insomnia. Sleep onset latency is reduced. That is, once a person has retired for the evening, the amount of time it takes him to actually fall asleep is reduced from one to two hours or more to the more normal twenty minutes or less. The number of awakenings during the night are reduced. That is, while most insomniacs awaken three or more times during the night and have difficulty falling asleep again, those treated with CES typically awaken no more than once or twice following therapy, with most reporting no awakenings. Furthermore, after awakening, they return to sleep much more promptly than before. CES treated patients spend more time in stage four sleep following CES treatments. That is, patients spend more time in the deepest, most restful stage of sleep than they did prior to CES treatment. It should be noted that some patients who have deprived themselves of REM sleep - the stage during which dreaming occurs - by taking drugs or alcohol as a sleeping aid, sometimes spend the first two or three nights in unusually vivid dream states when first starting CES treatments. This is considered another indication of the therapeutic effectiveness of CES in that persons are known to become increasingly disorganized mentally, some even to the point of psychotic-like symptoms, when they do not engage in the normal amount of dreaming. Finally, it was discovered that many patients receiving CES treatments report feeling more rested when they awaken in the morning following CES treatments. Treatment parameters: While some patients begin to respond after the second or third day of treatment, others do not have their best response with fewer than 24 days of treatments lasting from 15 minutes to 1 hour. The beneficial effects have been measured in some experimental groups for as long as two years. Some people with insomnia have a habitual pattern of responding to situational stress with an interruption in their sleep patterns. The best results are obtained when CES is used each time unusual stressors occur in their life situations that would ordinarily cause poor sleep. The CES device user is thereby trained over time to expect a good night's sleep no matter what stressful interruptions occurred in the normal flow of daily life. Foremost among the treatment problems among chemically dependent persons is the need to help them through the psychologically and physically demanding period of withdrawal. The body reacts to the depressed physical state engendered by alcohol and other drugs with a rebound stress reaction. This reaction commonly includes states of extreme anxiety, depression, and insomnia, for which CES treatment is known to be effective. Underlying the addictive state is an insidious and progressive destruction of normal brain functioning including an often incapacitating memory loss, inability to process information involving abstract symbols, and other dysfunctions associated with the organic brain syndrome, and advanced condition which is known as Korsakoff psychosis. Studies on the use of CES in chemical dependencies are among the best controlled and well designed research in the U.S. They indicate that CES is a highly effective adjunct to methadone withdrawal in heroin addicts, significantly shortening the time to symptom-free withdrawal when compared with methadone alone, and significantly lowering withdrawal anxiety as measured by the Taylor Manifest Anxiety Scale. Further, the anxiety and depression accompanying and following withdrawal of both alcohol and other drugs in polydrug abusers is significantly reduced when patients receive CES as a post withdrawal treatment. Most importantly, perhaps, is the finding that CES treatment halts and significantly reverses brain dysfunction in these patients as measured on seven different psychological scales of cognitive function, bringing many such functions back to the level of the pre-addiction state in the majority of patients studied. Another problem in the treatment of chemically dependent persons is frequently recurring "dry withdrawal" in which the individual suffers withdrawal symptoms within several weeks, then again in several months. The phrases used to describe these phenomena are a "dry drunk" followed by the "dry withdrawal". These psychological states lead to high recidivism rates among these individuals as they return to treatment after "falling off the wagon". CES is now thought of as one of the most effective, non-drug treatments for these periods of withdrawal, and a patient who has a personal CES unit available should be able to use it to prevent a full-blown withdrawal reaction at such times. By doing so he can reduce the need for additional medical treatment in a clinic or hospital setting, and will be less likely to resort to alcohol because of the discomfort accompanying these withdrawal states. Cranial Electrotherapy Stimulation (CES) has been proved to be an effective, non pharmacological, non toxic therapy for anxiety, depression and insomnia. It works by delivering a soothing, low voltage electrical stimulation to the brain 45 minutes a day via a Sony Walkman type headset resting on both ears. Patients can use CES at home while engaging in other activities, except, of course, for driving or other possibly dangerous activities. Side effects are negligible - users might experience an occasional transitory feeling of light headedness or a mild headache if the unit is turned up too high. Several scientific studies support the effectiveness and safety of CES. In six separate placebo controlled studies of anxiety, 220 hospitalized psychiatric inpatients receiving the treatment for at least 30 minutes per day for three weeks showed a significant lessening of anxiety; compared to controls. Similar studies with depressed patients revealed an average reduction in depression scores of 50%. 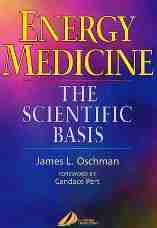 CES is thought to act by correcting neurotransmitter imbalances. Scientists discovered that severely depressed patients receiving CES had increased serotonin and norepinephrine blood levels, and normalized serotonin/betaendorphin and norepinephrine/cholinesterase ratios. Because CES duplicates the biochemical changes of drugs like antidepressants, it usually takes one to four weeks for the therapeutic effect to take hold. Potential applications for CES treatment include addictions, phobias, panic disorder, attention deficit disorder, and cognitive dysfunction. It has also been found quite effective for tension headaches. For severe problems use it 40 minutes twice daily. For less than severe problems use it 30-40 minutes once daily, then after a month you can use it 2 or 3 times a week. (It has cumulative effects.) More than 40 minutes usage in one sitting can have less productive results. 6 hz (cycles per second) enhances Theta brain waves which are normally experienced between sleep and full alertness. If you are stressed, anxious, hyper, or are preparing for bed then flip the switch upwards towards the 6 hz sticker. If you just woke up or want to be more alert then flip the switch down away from the 6 hz sticker. Pull open both ear clips and wet thoroughly with saltwater. Wipe your ear lobes clean because dirt or oil can cause stinging sensations when using unit. Clip them onto your ear lobes before turning the unit on. The saltwater usually dries out after 45 minutes (and stops conducting electric current) which is good because then you don't have to watch the clock too closely. Turn unit off before handling electrodes to prevent electrical tingling of your fingers. Before turning unit on, turn the dial fully counterclockwise. Turn unit on, wait for any initial tingling to subside, and then slowly turn the dial clockwise until you get uncomfortable tingling and then turn it back counterclockwise into the comfort zone. The farther clockwise it is turned, the more electric current you're receiving (and the more the current LED will light up). Too much current can result in dizziness. When you first start using it you may have uncomfortable sensations even with it turned fully counterclockwise. This usually subsides quickly and then you can turn it up. If it don't subside then you can adjust the electronics to suit you by turning the unit off, removing the 4 bottom screws, pulling out the electronics board, and with a mini-screwdriver turn the center of the potentiometer marked "<-adjust" counterclockwise (while the unit is on and connected to you) until you are comfortable with the diminished sensation felt. This is a last resort though because too little current may result in less benefits. This unit is powered by an internal rechargeable battery that will need recharging when you can't feel any tingling with the control fully clockwise. To recharge the battery just turn the unit off and plug the AC adapter into the AC wall socket and into the power jack on the unit. It will automatically recharge like that. Let it recharge overnight or 14 hours for a maximum charge. Too much charging may shorten the batteries life span. Next morning it is ready to use for at least another 4 hours total. Don't connect the AC adapter to the unit except when recharging. If the unit ever gets to where it won't last long between charges then you can replace the internal 9v battery with Radio Shack's 9 volt rechargeable #23-299. Recharge after replacing battery. Handle electrodes carefully so as not to bend the wires where they connect to the electrodes. If this connection ever breaks then you can remove the cloth and solder the wire back in place. If cloth gets too dirty then you can replace it by removing it, cutting a piece of 100% cloth the same size, and re-stitching it back in place. Mix 3 tsp non-iodized sea salt or rock salt with 2 ounce distilled water. Stir and let sit for 3 hours. Store in a dark eyedropper bottle. Stir 1 drop of this salt solution into 4 oz distilled water and use to fill an eyedropper bottle for use on the electrodes. SOTA Instruments Inc. has completely re-designed the BT6Pro model of Bio-Tuner, which is now called the BT7 (professional edition of the BT6). The Bio-Tuner BT7 offers 6 user-selectable output modes that research shows have varying effects. In all modes the base frequency of 1,000 Hz pulse-modulated by 111.11 Hz is present. This is the "magic frequency" that was found to work where other's failed. 20 Minute Timer: After 20 minutes have elapsed, the output is disabled, and the unit goes into standby mode. LOW Battery Warning: Red Light will come ON to indicate battery will soon need replacing. Earclip and Output Signal Electrical Circuit Verification Indicator: Yellow Light will only come ON when the electrical path through the Earclips is complete and functioning correctly. Minimum <~10 microamperes, 10 Volt Peak-Peak at lowest setting. Maximum <1.5mA Peak ~40 Volts Peak-Peak into typical 4k ohm load. Output impedance ~20k ohm. Modified rectilinear wave with rapid rise time (under 1uS). There are over 500 harmonic frequencies delivered in each pulse as observed on a frequency domain (not time domain) spectrum analyzer. Base waveform (Mode 1) 1,000 Hz Square wave (+/- 1%) pulse-modulated by 111.11 Hz (+/- 1%) Square wave. Waveforms are Microchip Quartz Crystal-Controlled for precise frequency output. There are 6 user-selectable output Modes. 9-Volt DC Alkaline Battery operation, useful to end voltage ~6.2 Volts. Battery drain: minimum ~9mA @ 9 Volts to maximum of 30mA with output fully loaded. Auto-shutoff time of 20 minutes. Controlled digitally. Pulses are Bi-Phasic (AC) with no DC or offset bias. Output is transformer coupled so that no direct current can appear at electrodes. The algebraic sum of positive and negative-going pulses is zero. This obviates any possibility of electrolysis, ion migration, or polarization. Low battery indicator. Low battery circuitry illuminates Red LED light when battery voltage falls below 5.2 Volts. This bibliography is not specific to the Beck Brain Tuner. The research is specific to Cranial Electrical Stimulation - the technology on which the Brain Tuner is based. Daniel L. Kirsch: "The Science Behind Cranial Electrotherapy Stimulation" 2002.. 126 menschliche und 29 Tierstudien mit Frequenzangaben, 21 Reviews, 2 Metaanalysen.. Geräte Alpha-Stim, Diastrim, Dormed, Electrodorn, Electrosom, HealthPax, Neurometer, Neurotone, Somlec etc.. Messmethoden EKG, EEG, EMG, Hautwiderstand, Blutdruck, Puls, Endorphine, NO, Temperatur.. Studien zu Alkohol, Ängste, ADD, Asthma, Kinderlähmung, Rauchen, Kokain, Heroin, Methadon, Marijuana, Entzug, Depression, Fibromyalgie, Schmerz, Phobie, Schlaf, Stress, Lernen, Zähne, Muskelzucken..
Hutchison: "Megabrain-Power. 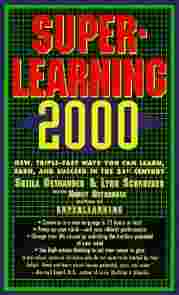 Transformiere dein Leben" Menge an Informationen über Entspannung und bewußtseinsverändernde Geräte.. wertvolle Informationen über Mind Maschines..
Ostrander, Schroeder: "Superlearning 2000: New Triple Fast Ways You Can Learn, Earn, and Succeed in the 21st Century" enthält Infos über Bob Beck..
Oschman: "Energy Medicine: The Scientific Basis" der Körper als Flüssigkristallsystem.. wissenschaftliche Basis der Energiemedizin.. Robert Beck.. gute Kritiken..